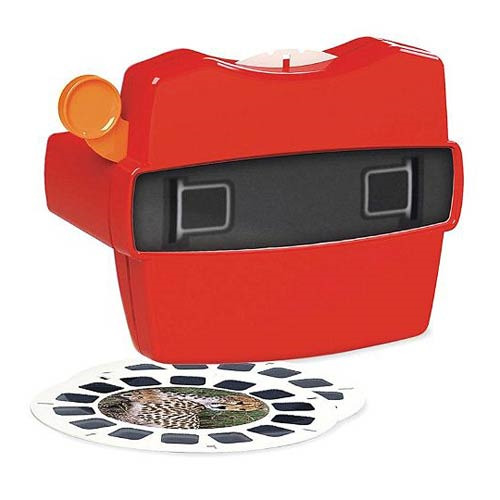 Bringing a classic toy back into the spotlight with a fresh design update, this Discovery Kids View-Master Boxed Set with Reels includes 3 separate reels - the Age of Dinosaurs, Marine Life, and Safari Adventures! A total of 21 3-D images are included with the red Viewer. You even get a storage case for your reels! Measures about 5-inches long. Ages 3 and up.